Leading advertising agency, Leo Burnett’s new CEO Arosha Perera expressed confidence to make a mark in the industry with his new management team continuing the 18 years of legacy of the firm. Outlining the plans of Leo Burnett ahead he said the agency has a very exciting agenda planned and the firm had 18 years of amazing success with Ranil de Silva at the helm. “Now we are very excited for the next 18 years and beyond with a new leadership team who look at the future in terms of our industry. We have been very much focused on creativity at Leo Burnett and that we have been known for. We have also been known for human kind, which is our proprietary strategic approach of understanding people and their behavior. To this mix, we will now add integration. 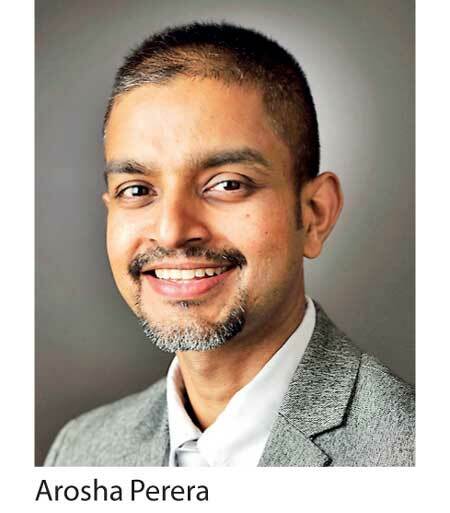 It is not a new factor, but we will really focus on how to bring integration a live in order to connect brands better with the customers who are really evolving and building relationships with brands,” he told journalist in Colombo yesterday. To this end he believes in augmenting their offering to their clients through a very robust digital expertise all the way through customer engagement. “We will no longer just look at great and big ideas as we have always done, but we will look at media neutral ideas. Ideas that can be travelled across media by its definition and lend towards a larger campaign which could contact consumers at all the touch points that a brand must engage in,” he stated. Along with these, Perera also said they would launch a very robust performance culture at Leo Burnett this year. “We really have a very experienced group of people in this agency who have contributed immensely in winning the best accolades in the market. We will make sure that every person who works in this company will really fells that it is up to them and their performance drives the company forward. This will give them the encouragement as well as the rewards that come with performing at their peak,” he added. He pointed out that the growth really comes from the investment the clients are putting behind the non-traditional media, noting that even at present larger budgets are coming from traditional areas like press, radio and television. However, said the digital is a fast growing area especially when it comes to marketing young adults and youth as well as on consumer engagement. “Today, everything is about engaging in a two-way conversation. We will deepen our offering in these areas so that we can really contribute towards brand growth and brand problems in that scope. Our planning unit has been really strong in that sense. Human kind is a very good tool which we will blend into the vision we have for the future as it sharpens our focus in approaching the consumers. Human kind along with our expertise is an unbeatable combination together with our big ideas, which this agency has stood forward,” he explained. Perera said the competition has become really intense over the past decade as a result of the market liberalization. Acknowledging that the agency is the clear number two in the industry at present, he expressed confidence in becoming the leader with the support of the team and clients. Leo Burnett’s new Chief Strategy Office Murtaza Tajbhoy said FMCG, banks, telcos, real estate companies are the top categories that are investing on marketing and communication, while fintech companies are emerging in the digital platforms.“A lot of finance companies and investment sectors are now getting on to digital platforms to reach out masses. SME wanting to promote themselves as well as emerging entrepreneurs requiring our services through digital platforms are now increasing tremendously,” he added. In going forward, he stressed that they are focusing on some of the local companies that have done well in the market to explore opportunities and enhance their brand presence in the international arena with Leo Burnett expertise.